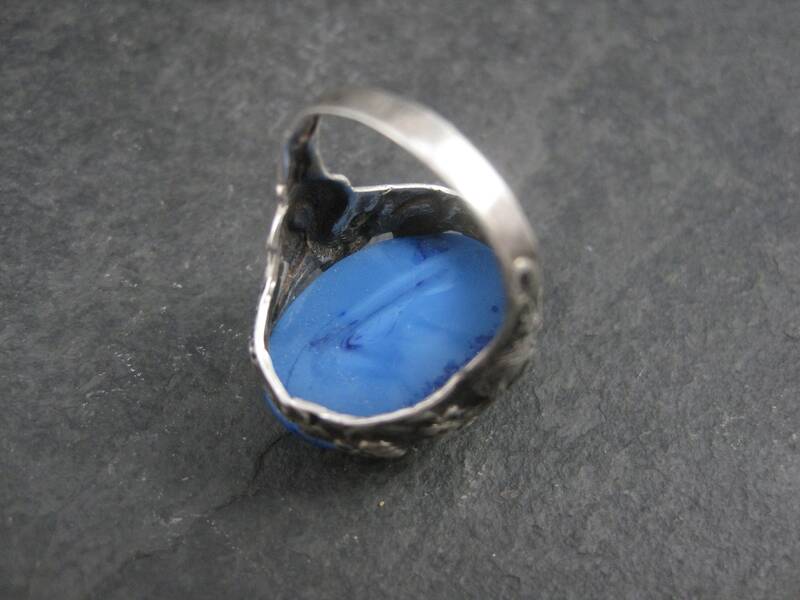 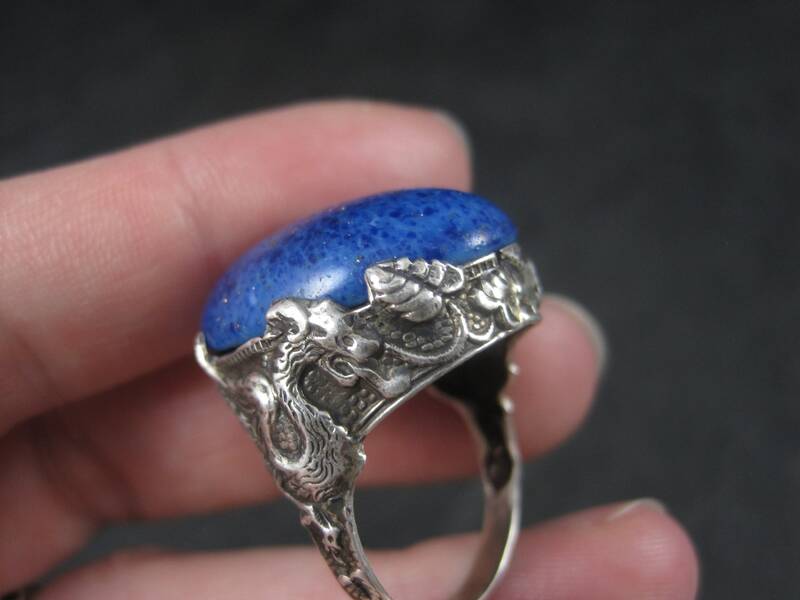 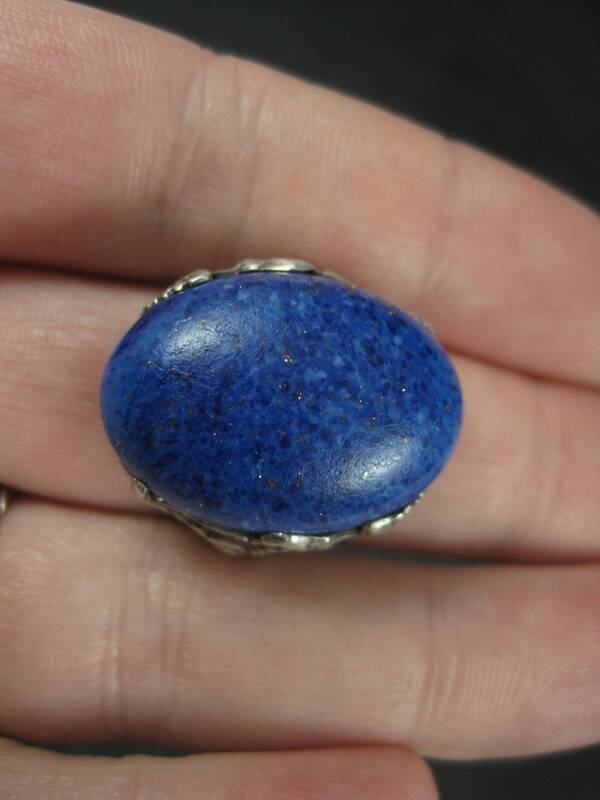 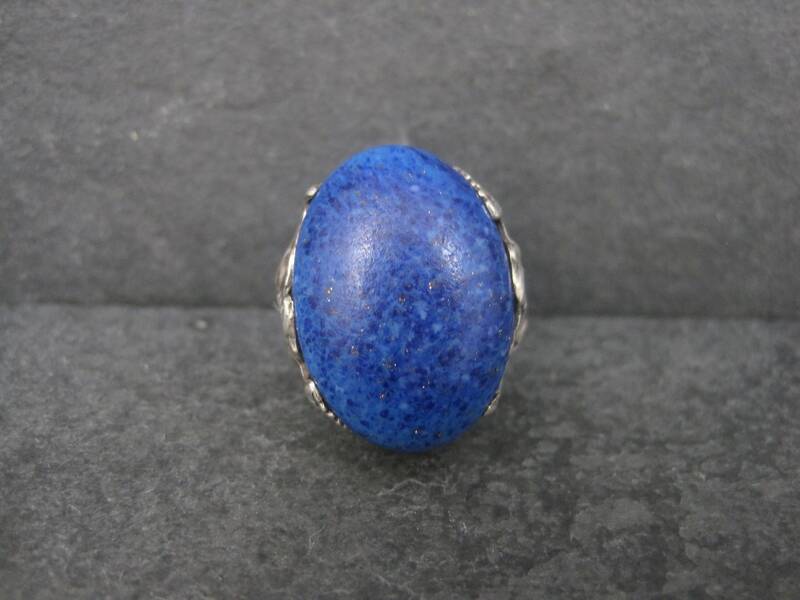 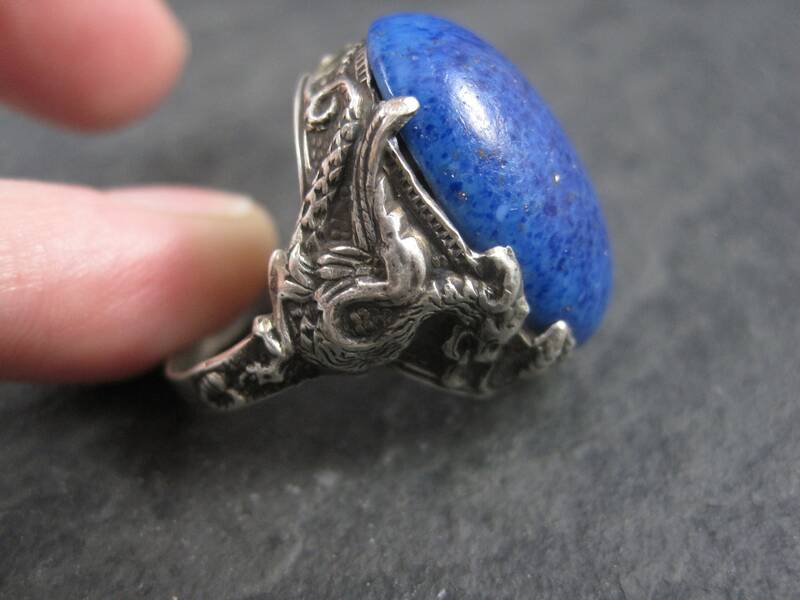 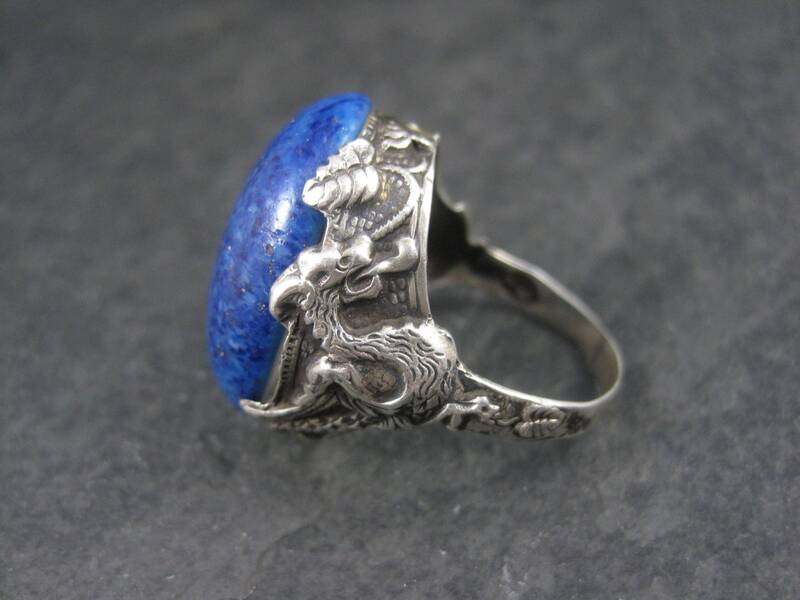 This beautiful vintage ring is sterling silver with a huge 17x24mm faux lapis lazuli stone. 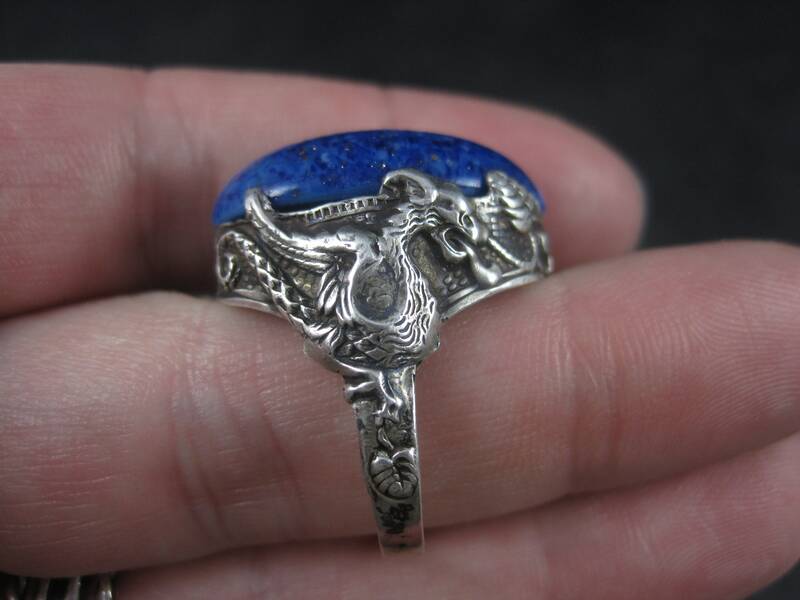 It features stunning dragons among a floral design done in Art Nouveau style. 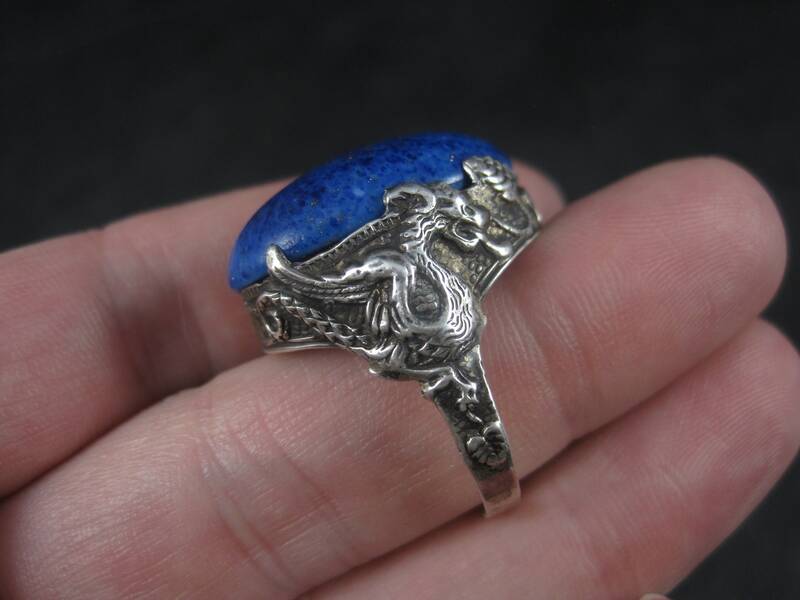 The face of this ring measures 15/16 of an inch north to south with a rise of 11mm off the finger. 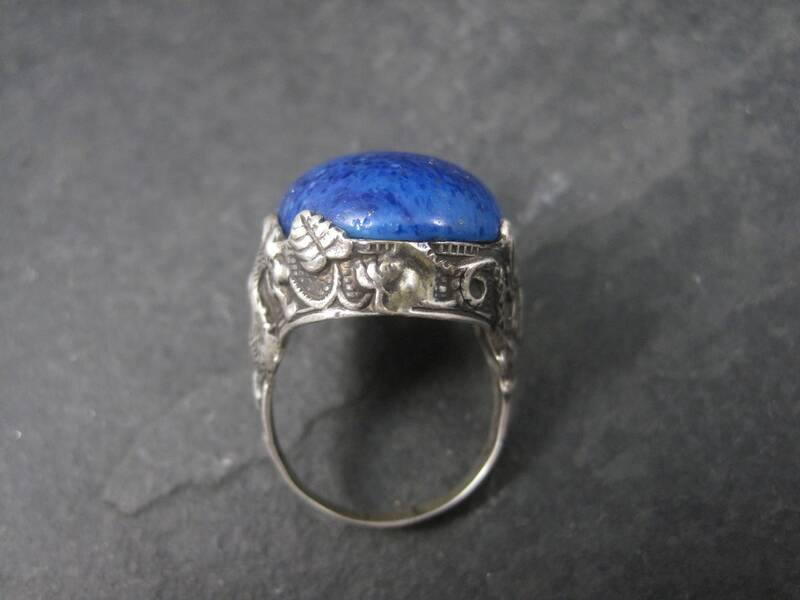 This ring measures as a size 8 but would most likely fit fingers up to a size 9 since it has that open design.